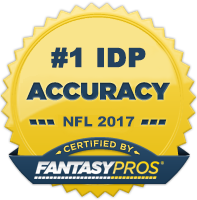 Knowing which teams give up the most fantasy points to a certain defensive position is vital to the long-term success of any IDP owner. Having this type of information will allow you to make those tough weekly lineup decisions as well as spot key weekly waiver wire pickups throughout the season. This article will be updated each week to reflect the average total points allowed by each NFL team to Defensive Linemen, Linebackers, and Defensive Backs up until that particular point in the season. To start the 2012 season, these stats will be based upon 2011 points allowed. Starting at the beginning of Week 2, we will begin revising this document with up-to-date 2012 statistics.